Invasive species change not only the look of Vermont waterways and uplands, but also the ecology. 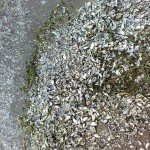 Once established, invasive species can negatively impact recreation, human health, and the health of the lake, rivers, soil and the surrounding watershed. 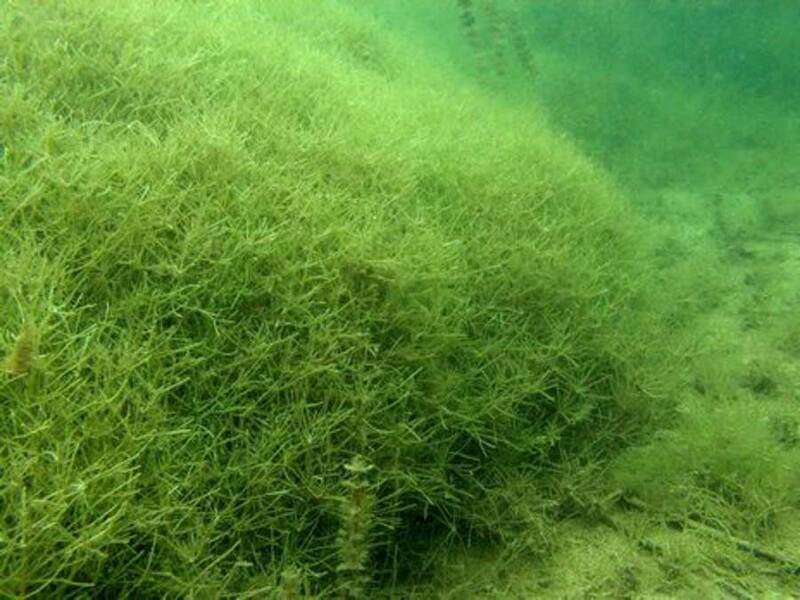 Invasive species are organisms that have been introduced to a new location that historically were not found there, what separates invasive species from other non-native species is that they cause ecological and or economic impacts. Invasive species reproduce faster than native species, generally have no or lower nutritional value and have no predators within the ecosystem to keep them ‘in-check’. 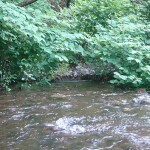 Once established in an ecosystem it is very difficult and costly t o remove an invasive species. They also may pose a risk to human health through the introduction of new diseases and allergens, impact agricultural practices and livestock production. 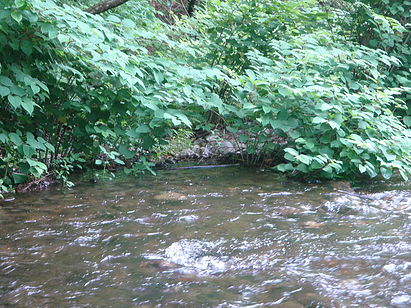 Human actions are the primary means of introduction of invasive species. That is why it has become overly important to practice proper spread prevention. Identification and early detection are important to stopping the spread of invasive species into Vermont. Within Vermont waters is a snail that is most often overlooked. This snail while small can impact the ecology of our lakes, ponds and reservoirs. 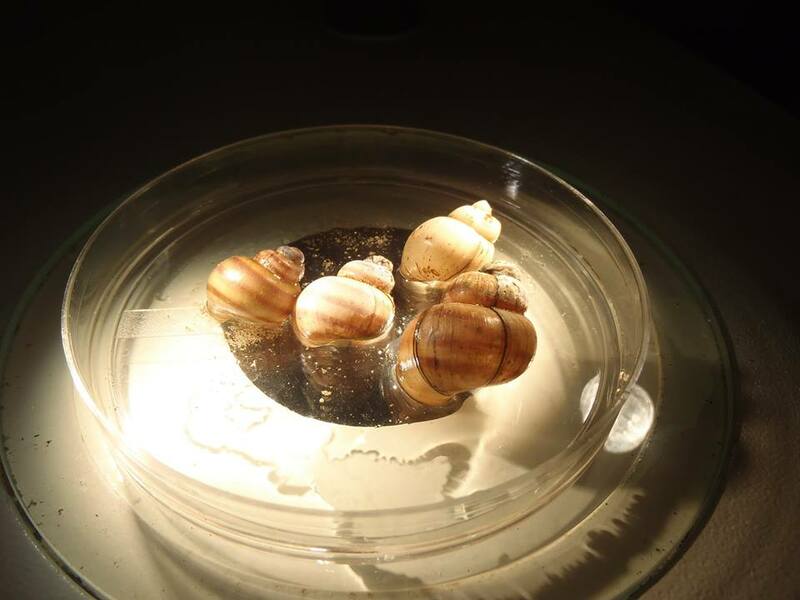 Recent studies are indicating that the Banded Mystery Snail, a non-native species should be classified as a nuisance species or potentially an invasive species. 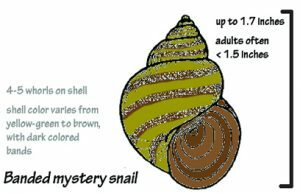 The Winooski Natural Resources Conservation District seeks your help to identify bodies of water that the snail can be found. The Banded Mystery Snail (Viviparus georgianus) a non-native species to VT and NY was introduced in 1867 into the Hudson River. It is historically native to Florida and Georgia among other southeastern states. It has been found in many bodies of water located within Vermont and New York, including Lake Champlain, Lake Iroquois (VT) and Lake George (NY). The public, officials and scientists have not taken much note of this non-native species believing that any environmental impacts would be negligible. Current data is showcasing a different picture and further research is needed. WNRCD Invasive Species Services. 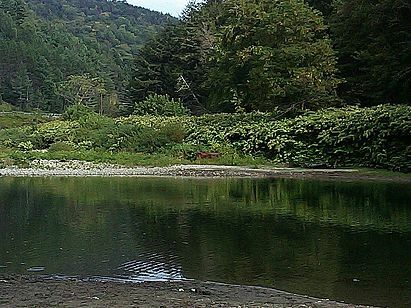 The WNRCD will work with landowners, associations, and municipalities on the identification of invasive species; assist with the coordination of mitigation and removal of invasive species; create maintenance plans, funding acquisition, workshop facilitation, and the create of educational publications tailored to your needs. 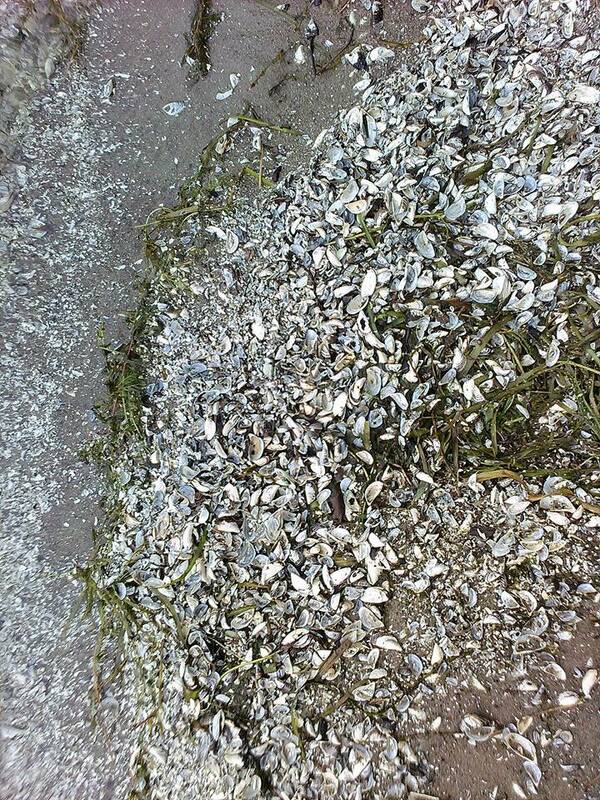 The WNRCD staff have experience with both terrestrial and aquatic invasive species including: phragmites, knotweed, purple loosestrife, milfoil, zebra mussels and asian clams. VTRANS Roadside Terrestrial Invasive Plants BMP’s Manual. The intent of this manual is to bring awareness to invasive plants and the role that VTrans can play in limiting the spread of these species along our rights-of-way and into adjacent habitats. The information in this manual is meant as guidance for maintenance and construction personnel, as well as contractors working for VTrans. Unless otherwise required by law, rule or regulation implementation (example, movement/transport/disposal of class A noxious weeds) of these BMP’s are intended to be accomplished to the extent reasonable and practicable. whether the species is currently present or likely to spread to Chittenden County. The Adirondack Park Invasive Plant Program (APIPP) The Actual and Potential Economic Impact of Invasive Species Report, explores the actual and potential economic impact of invasive species on specific sectors of the economy of the Adirondack Park. Previous research with respect to invasive species has tended to focus on their biology and ecological impacts, strategies to control them, and methods to restore invaded habitat. Consideration of the economic impacts, beyond the direct costs of control, has received relatively little attention though these impacts may be substantial. This assessment focuses on economic impacts. The Vermont Department of Forests Parks & Recreation is seeking volunteers to help map invasive species in their: Mapping for Healthy Forests program.